Welcome to the move in ready Wellington Ranch Floor Plan in Lost River! Pull into the driveway that has been stamped and stained for an extra high-end decorative touch. There are so many great desired features! You don’t want to miss this opportunity to have an open floor plan with 3 large bedrooms and 2.5 bathrooms on the main level, as well as a bonus room and 4th bedroom with full bath and walk-in closet on the second floor. Come inside through the 12 light insulated fiberglass front door with sidelights into a wide entry. Upon entering you will see the 5” Hand Scraped Engineered Hardwoods flow throughout most of the Main Area of the home that includes Foyer, Powder, Great, Dining, Kitchen, Breakfast, & Morning Rooms. Each room has high visibility from all corners of the main living area, great for entertaining or just being able to be part of conversations. Large Open Floor Plan with high ceilings stretch into the Great room with the Stack Stone Fireplace that features a gas starter with wood burning insert and raised Hearth. A Floor Outlet for easy furniture layout options, 4 recessed cans that allows you lighting options not to mention a Hunter 70” Ceiling fan, recently installed. The Kitchen countertops are adorned with Colonial White Granite with Decorative Montreux Gris 4X4 angled tile backsplash. The stainless appliances are Whirlpool, with a 5-burner gas range that has a Hood Vented Directly to the outside, Convection oven, built-in microwave, and Dishwasher. In addition, there is a trash bin pull out, Princeton 42” Upper Walnut Cabinetry with Crown Molding, and custom picked 4 Pendant Lights above the oversized island that also provides extra seating and a custom Light in the Breakfast Room. Another great feature is the Sun/Morning Room just off to the left of the Great Room and extension of the Kitchen Breakfast Rooms. If you want to entertain formally there is a 15x12 dining area with picture & crown molding next to the Kitchen. The 18x16 Master Bedroom has a tray ceiling and is your Oasis that has a 13x12 sitting room with a chandelier, plenty of places for your bed and furniture. The owners added a 52” Hunter Fan along with Curtain Rods and Curtains. The Master Bathroom has Separate Vanity Areas, Tiled Shower with newly upgraded shower head & Shower seat, 40” Tile knee wall that encompasses the large Garden Tub. The Walk-in Master Closet is divided into 2 different large areas. Some other items that owners have added in this well-kept home are the Nest products (2) Thermostats, Nest Protect and Nest Hello video doorbell. No need for the expense of Blinds they have been installed. Recently installed Ceramic Tile in secondary Bathrooms and Laundry Room. Also, the owners installed a 52” Hunter Fan in one downstairs bedroom, upstairs Bedroom and Bonus Rooms. The Bonus Room also has a new 5” Hand Scraped Engineered Hardwood floor. Outback of the home there is a 6’ Wood Fence, a stamped concrete covered patio with a gas fireplace, a privacy/sunshade, with a newly installed Ceiling Fan. The garage has had an epoxy coating put down, there is a garage door opener, room for storage along with 3 extra receptacles for many charging options. The home is crowned with 30 Year Architectural Shingles and ready for the long haul to protect your home. When you live in Lost River you have access to a fantastic pool, oversized pavilion with stacked stone wood burning fireplace, tennis courts, playground and trails. Great Location convenient to Doctors, Hospitals, Shopping, Eateries, the Southside Park, Discovery Island Water Park, and Heritage Park, not to mention 385 and 1-85 for easy on/off business commutes. For more photos and details, click the link below. Then road turns into Rocky Creek Road Lost River on LT. Turn into subdivision. If you don’t build it, they won’t come. That’s for sure. ~ DiDi Caldwell, a Greenville-based site selection expert. A group of three families have joined together in hopes to secure future economic security for Greenville County. They want to pool their lands and create a business park near Interstate 185. This would be a match or above Clemson University’s International Center for Automotive Research. To be named “South Greenville Enterprise Park” it would be the first to be completed under the county’s just created “Business and Technology District” zoning. 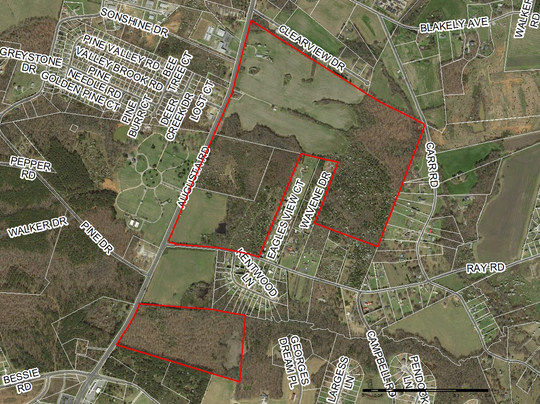 This zoning will limit development in the park to offices, labs, data centers and banks. A bit of warehousing and clean manufacturing will also be possible. One big caveat will be the infrastructure. There is currently no sewer lines in that area and it could be a hard sell to get any businesses to commit without installed utilities. Because of this Greenville County has had a hard time competing with neighboring counties that already have infrastructure in place. Economic development in Greenville County fell from $336 million invested and 1,800 jobs created in 2017 to $151 million invested and 1,500 jobs created in 2018. Neighboring Spartanburg County has more shovel-ready sites and infrastructure and had a boon of several major announcements in 2018: Keurig for $350 million, Grupo Antolin for $150 million and Draexlmaier for $42.7 million. Once complete, the park would have uniform landscaping, architecture and amenities that businesses are looking for. Also, according to new county rules, the park is required to have 150 feet buffer from any residential land and 100-foot landscaped buffer. Outdoor storage will be banned, noise and odor restrictions, limited-height towers to 90 feet and dumpsters will be hidden. The property is currently zoned for residential homes so zoning will have to be applied for and approved with the current owners in full support. Local homeowners living in the area around the proposed park are hesitant with lots of questions. As the rural nature of the area is replaced with building and growth will it truly be good for us? Greenville SC is frequently named one of the best places to live in the U.S. and is the fourth-fastest growing city in the U.S. The key will be to maintain growth while also maintaining quality of life. Once quality of life begins to degrade, you begin to lose workers and homeowners. But it seems Greenville SC has its heart in the right place. Advance the future of the economy while honoring the things that make Greenville a “best place to live”. 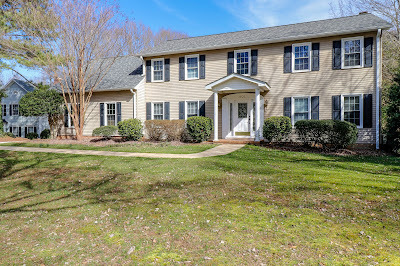 Welcome to 901 Plantation Drive located in the desirable neighborhood of Holly Tree Plantation. Holly Tree is a subdivision that offers a lot of amenities that you can join on your own without having to pay for amenities you would never use. The home is situated on a corner lot in a cul-de-sac and has 5 Bedrooms 3.5 Bathrooms and open floor plan with a Kitchen a Chef would love to make meals in all day long. The Dining Room makes a great office too just off to the left as you enter the home. The Great Room is oversize great for gatherings to include a fireplace that can be wood burning or gas large whichever you desire. The kitchen is beautiful and provides tons of cabinet space. The home overlooks a semi-private backyard with an inground pool. There is a back staircase that leads up to a 5th bedroom with its own full bathroom. So, let me tell you how well maintained this move in ready home is and why you should come and see it and make it your own. The windows were replaced with new double hung and insulated in 2006, In 2007 the Electric Fence with 2 separate loops were installed in the Front and back yards. Then the Front and Back doors were replaced. In 2008 a New Garbage Disposal was put in and the Dining Room Ceiling Fan was replaced. In June 2014 the Master Bathroom received updating with a new double sink vanity, Tiled Shower with glass enclosure, toilet, and flooring. In 2015 the following several upgraded features were completed and these included the following the ceilings were smoothed in the Kitchen and Great Room. 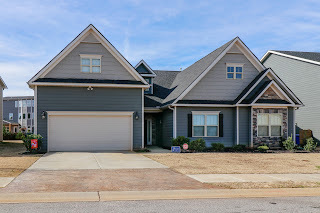 The home received July the New Architectural Roof Shingles was installed, the Fence for Pool August 2015, then the wainscoting was installed in October 2015, The Second Bathroom had a new cultured marble vanity with sink, new light fixture, and a new toilet installed. The biggest updated item was the kitchen with a complete remodel in November 2015 with all new Kraft maid cabinets with coffee highlights crown molding and rope accenting. This one got away but head over to my listings page to see many more homes for sale. In their initiative to support cities across the U.S., Domino’s Pizza has planned to fix potholes for the City of Simpsonville. The city was granted $5,000 from Domino’s Paving for Pizza program to pave over potholes and improve city streets. The project starts in March with the Simpsonville public works department to finish the paving in five months or less. The program began with Domino’s asking people to submit nominations for their towns for the grant. So many were submitted that Domino’s decided to expand the program to pave one community in each state. Simpsonville was selected due to an overwhelming submission of nominations. Domino’s sends the funds, but the actual paving is done by public works department. Simpsonville is expecting to pave over 200 portholes with their grant. The grant gives Simpsonville some extra capital to buy paving materials. On the Domino’s website you can see a map of the cities they have already reached, and the number of potholes fixed in each one. Photos are included. Since this program launched, all 50 states have submitted over 194,000 nominations. Let’s check in on Greenville SC and see how things are going. Some of the stats below are provided by Trulia® and can seem a bit biased based on the number of homes in each category. Trends in Greenville SC show a 7 percent year-over-year rise in median sales price and a zero percent drop in median rent per month. Looking back over the last year, rents did top out at around $1,300 using the summer when demand for housing usually increases due to an influx of new employees into the area. Crime in the Greenville SC area is relatively low with only 10 incidents reported in the Greenville SC city limits. Most reported crime incidents were outside the city*. The most frequent crimes over the past year were 127 counts of theft, 18 counts of arrest, 4 counts of robbery, 4 counts of shooting and 4 counts of burglary. Most of the workers (98%) in Greenville SC commute by car. Toward downtown your commute times are around 10-15 minutes. As you work your way out of downtown your commute increases to between 20 mins and 45 mins. Even after all these stats, Greenville SC’s great amenities, our growing economy and creating balance between growth and quality of life. Livability.com has scored Greenville SC as one of their “Best Places to Live” saying it has a lot going for it. Situated in the booming Charlotte to Atlanta corridor and with some great southern charm, you can’t beat the vibe and feel of the youthful workforce and diversified economy. Reviving main street after the textile industry faltered, Greenville SC got on top quickly by diversifying the economic base. There are also many great amenities in Greenville SC for everyone. 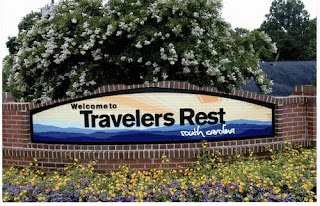 The visitor’s bureau has worked hard to make Greenville SC a destination city rather than an interstate pass through. The city itself is rather beautiful with the planned greenspace and hiking and biking trails. There are many festivals throughout the year and lots of museums and performances in the Peace Center.